The museum-feel Guangzhou Antique Shop Head Office offers impressive examples of Guangdong handicrafts. 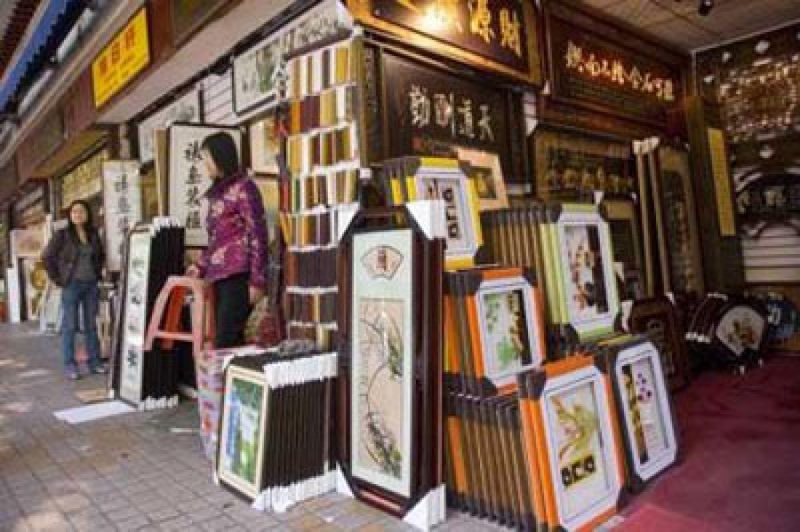 While in the area shoppers should also visit the Wende Lu Culture Street art market. It has some original calligraphy and paintings as well as reproductions of famous paintings. Getting There: Take metro line 1 or 2 to Gongyuanqian station (公园前站) near Beijing Lu (北京路). From Beijing Lu walk east along Zhongshan Lu (中山路) then turn right on Wende Lu (文德路).